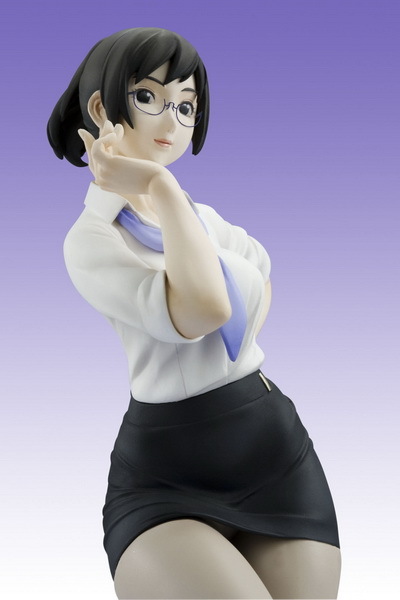 October 9th, 2008 By: GGT Category: 2009/01 release, Figure News. Megahouse is going to release the Excellent Model Holon ( ホロン ) 1/8 PVC figure from the anime “Real Drive” ( RD 潜脳調査室 ) created by Production I.G and Masamune Shirow. Will be released in January 2009, 6,090 yen. Presented by, Production I.G & Masamune Shiro brand-new upcoming future suspense Anime, Real Drive(RD Sennou Chousashitsu) has made its appearance as one of “excellent model” series. With the help of the character designer Tetsurou Ueyama, two main characters, Minamo Aoi and an Android Assistant called Holon are lively portrayed through these figurines.